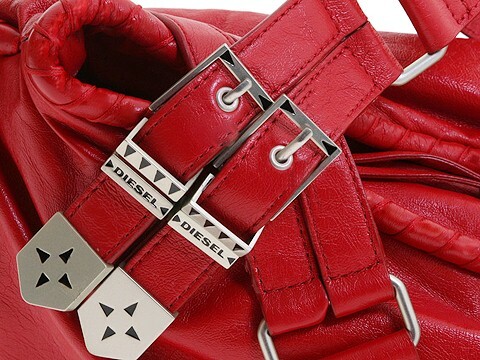 Diesel - Red Cloud (Red) - Handbags Sophisticated styling punched up with edgy signature hardware. 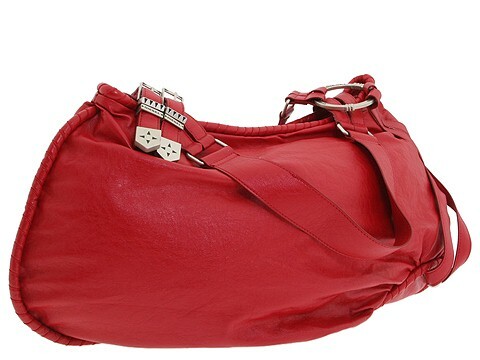 Chic shoulder bag made of synthetic leather. Holds your wallet, sunglasses, personal technology, a bottle of water and a copy of your favorite magazine. Dimensions: 22" wide x 3" deep x 14" high. ; Dual shoulder straps. Shoulder drop: 12 length. Signature hardware. Buckle details. Top zip closure. Interior lining with a back wall zip pocket and multifunctional slip pockets.